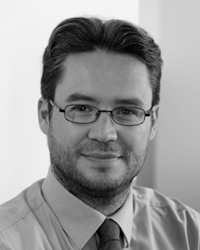 Sylvain Delouvée holds a Ph.D. in Social Psychology (Paris 5 University), and is currently an Associate professor (HDR) in Rennes 2 University (France). Formerly vice-president of his university, his research topics are focused on collective beliefs and social thought. He is particularly interested in behaviors and conduct known as irrational through conspiracy theories and rumours, collective memory and social representations, collective fears and social identity, common sense and lay knowledge. As an editor of Les Cahiers Internationaux de Psychologie Sociale, he authored several books, among those a social psychology handbook (ed. Dunod, 2013) and a popular book Pourquoi faisons-nous des choses stupides ou irrationnelles ?! [Why smart people do dumb or irrational things] (2011). He is also the co-author of Stéréotypes, préjugés et discrimination [Stereotypes, prejudice and discrimination] (2015) and the co-editor of Les représentations sociales: Théories, méthodes et applications [Social representations: Theories, methods and applications] (2016). He is a scientific coordinator of the ANR (French National Research Agency) Grant “Responding to the spreading of conspiracy theories” (2017–2020). He is also leading Task 7.2. of the ZIKAlliance Project (H2020, 2016-2019), which focuses notably on beliefs in conspiracy theories related to the Zika virus. Finally, he regularly gives conferences and training sessions on conspiracy beliefs and radicalization for various institutions (e.g., police departments, the Ministry of Justice, non-profit organizations) in link with the running governmental anti-terrorism plan. For futher information in Sylvain Delouvée, see here.